The small cross on her collarbone. 10. The small cross on her collarbone. 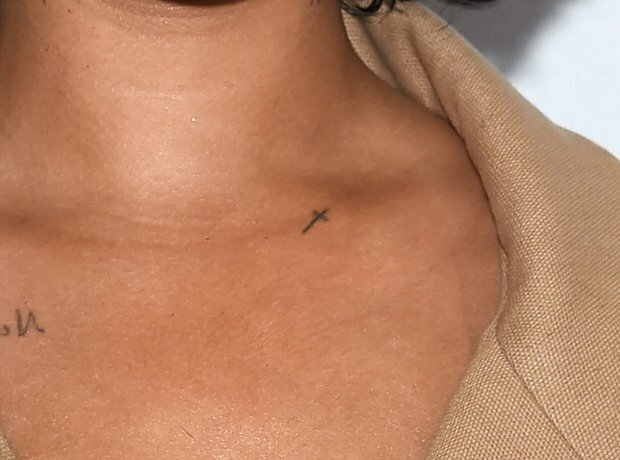 This small, fine cross on Rihanna's collarbone is another tattoo dedicated to her belief in God. The inking is said to be small enough for Ri to cover it up with jewellery if she wants to conceal it. Controversy initially surrounded this tattoo due to its link to the Illuminati and the Freemasons.